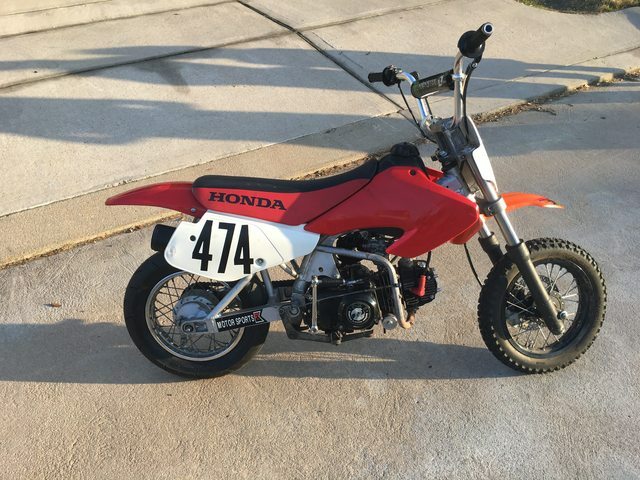 Ok ok ok, Honda didn’t make a 125cc XR . Huge shout out to Gabriel and Everett Fox for their generous donation! My 16yo nephew will be very happy moving on from the little 70’s. 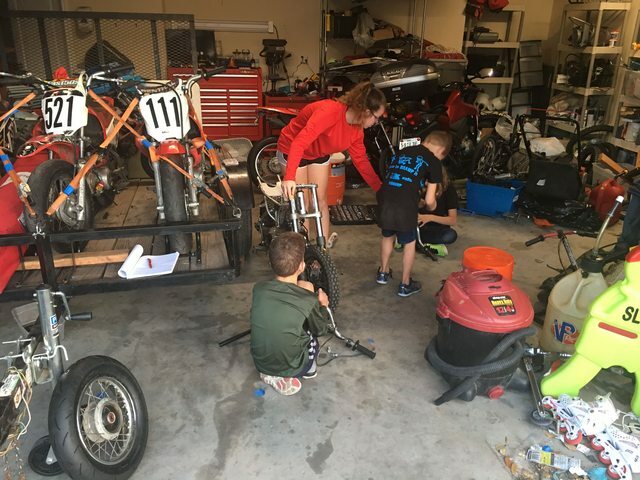 My smaller kids are a bit dissapinted they can’t race it in TMGP but at least they can start learning a clutch. What we have here was a unfinished project that had been shelved for a couple years. 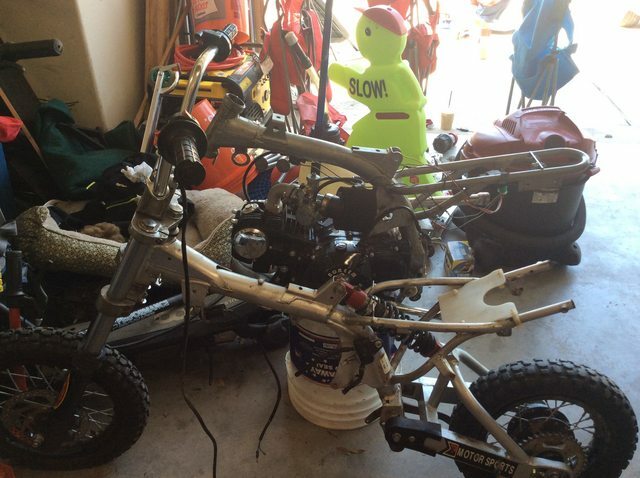 After a brief inspection, it appears the forks and swing arms will bolt onto our XR-70 carcass frame. If this works it will be a huge win simply because we have almost everything to make a complete bike. 1. Hydraulic perch and brake lever for front disk brake. 2. Complete clutch perch/lever/cable and assembly for case connection. My nephew made some great progress today. 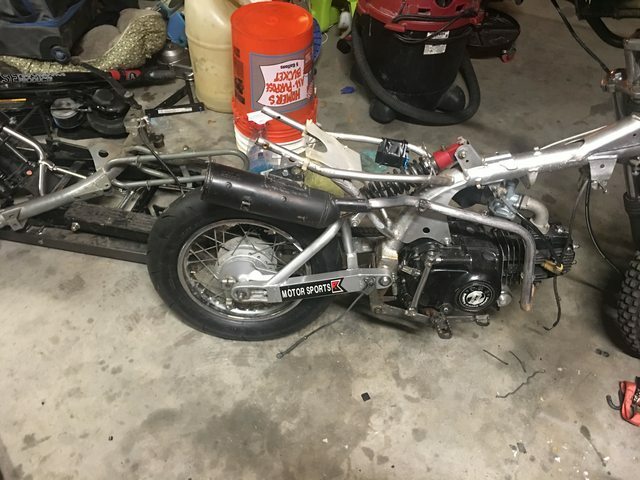 The swing arm and forks were a direct swap to the XR-70 frame. The engine was also a direct bolt on to the XR-70 frame. The upgraded 12” (from 10”) rear wheel with drum brake slid in with some spacer modification. nice. is that a 12in front wheel too? Yes, the original rolling frame had 12” front with 10” rear. Pretty cool the kids are learning this stuff at a young age. Good luck with the project. Throttle tube and cable installed. CDI box and wiring harness in place (requires connections). Hopefully parts start rolling in on Monday while Carrie is at work. Those kids are learning so many valuable skills through this process, I'd have to imagine those skills will serve them for the rest of their lives. Basic mechanics, trial and error, patience, the value of hard work and the reward that comes with it...good job man, good job. Some happy kids in the Miller house! 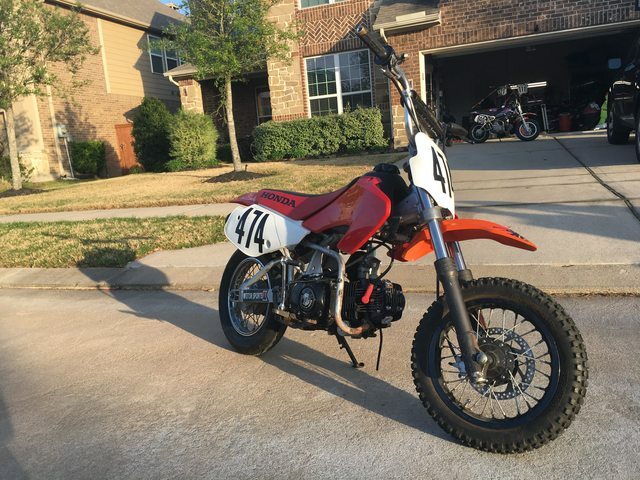 This is one of the only moto threads I feel like I have seen on here in years. yellow wire is probably for lights. Is the stator wrapped on all poles or just one? Yes, all the poles were wrapped. So on to another pressing issue. 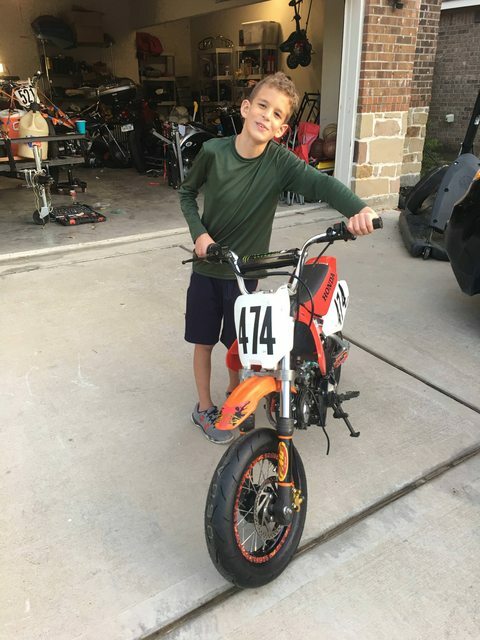 Nephew is having a tough time fitting the chain. 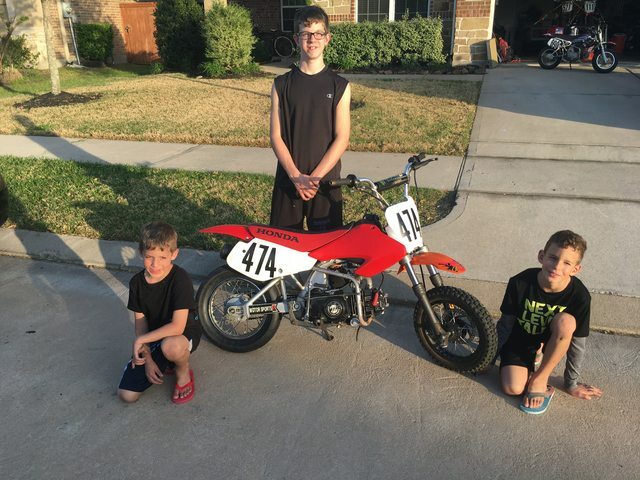 The tire is tall and is hitting the front side of the swing arm. When he adjusts the tire back it runs out of adjustment. So he is inbetween chain links for proper adjustments. Haven’t exactly seen his issue yet other than photo’s he is sending. 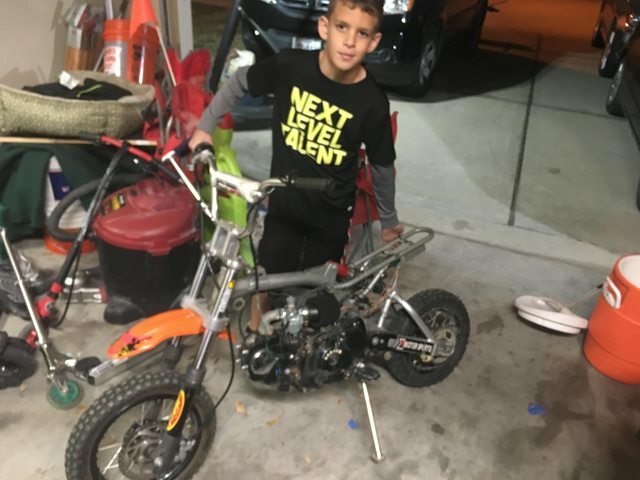 His idea is to increase the size of the sprocket. Anyone have a 15 tooth of this type? 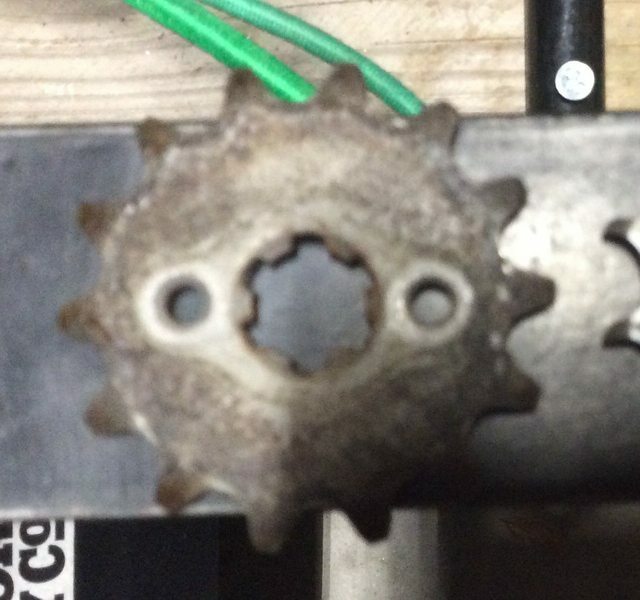 The spare XR-70 front sprockets have differnt spline pattern. 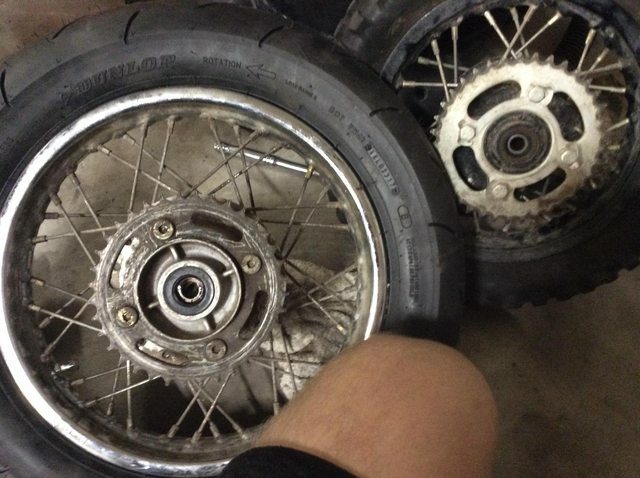 Or/And a 37 tooth XR-70 rear sprocket? The 37 tooth on the original 10” wheel won’t bolt up to the 12” wheel. 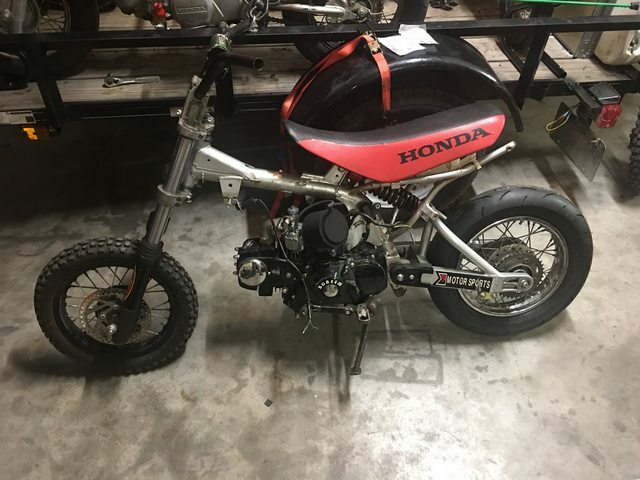 I might have a sprocket or two for the front. have to check later when I get home. Well, not exactly how the kids wanted to spend spring break, but they have definitely made the best of things. Everyone was piled in the driveway waiting for me to get home. After multiple messages throughout the day, everyone was certain the bike was going to roll under it’s own power. Making me proud! Great way to come home! Brakes and a front tire and this beast is ready for a test n tune at the track! 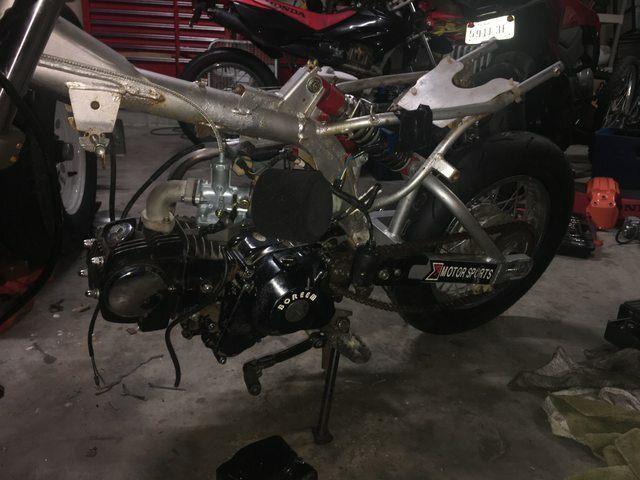 Any ideas why this bike will only start in Neutral? I’m use to pulling in clutch and going while still in gear. Or thisvis just the way these engines are? It is the design of the clutch/kickstart mechanism and how they are placed. 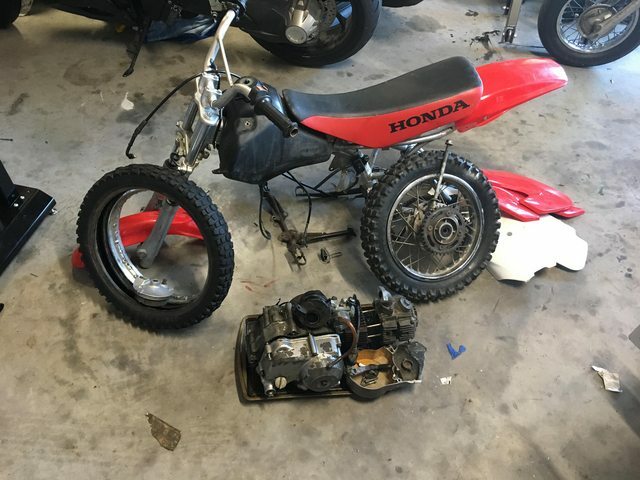 My 125 luckily starts in any gear with the clutch pulled in. Tires, brakes and clutch done! I'm just now finding your thread. Thanks for all the progress pictures from along the way! When is the first track day? Still have some work to do. First issue was on throttle response with a huge delay. Garret moved the carb needle up one position which solved apex exit response. 2nd issue is the front tire out of true. The bouncing basketball effect inspired zero confidence in pushing ANY types of limits. 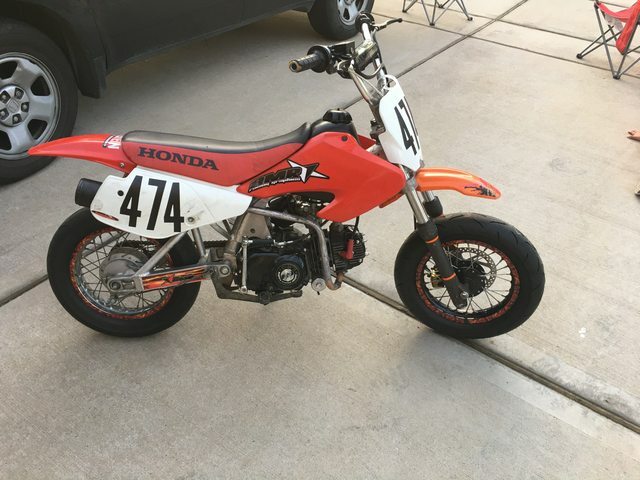 3rd issue, this bike back fires like a after off throttle from high speeds. Anyone have suggestions?